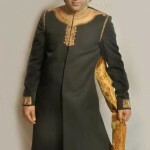 Syed Rizi Shah Sherwani is a long-coat like garment which signifies the Pakistani, Indian Whereas in some other countries ( Muslim countries) traditional wear. 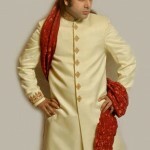 It is popularly worn by the groom national and traditional dress with graceful embroidery work out. 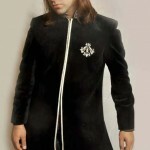 but the variations have now made it possible to be adorned by all. 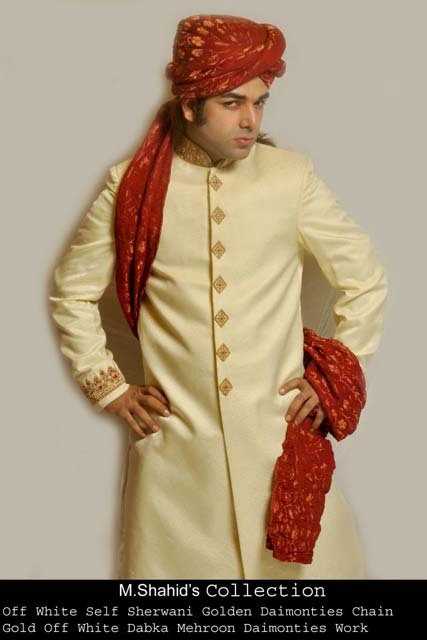 ll these wedding sherwanis are designed by creative and artistic Pakistan designer with their remarkable skills. 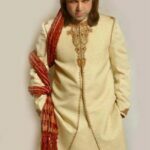 There are latest wedding sherwani designs by M. Shahid’s Collection.Usually, wedding sherwanis are more colorful and stylish it also depends upon their size, fabric and season. 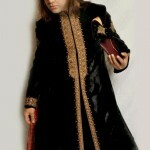 Basically sherwani is the type of long coats but with churidar pajama or shalwar. 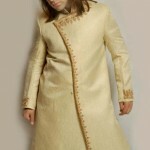 The stuff of sherwani is made of heavy fabric to work with embroidery resham work, dabka and embellishment.